Finishing the season on one of the top 4 spots on the Premier League table is a wish of both Arsenal and Manchester United. Currently, the point difference is only 1 point in the favor of the Red Devils, meaning that the Gunners are the ones who with a bigger desire to win in the Sunday’s duel. And to help them with that, their fans at the Emirates are gonna give them incredible support. Can that mean all the difference in this match? 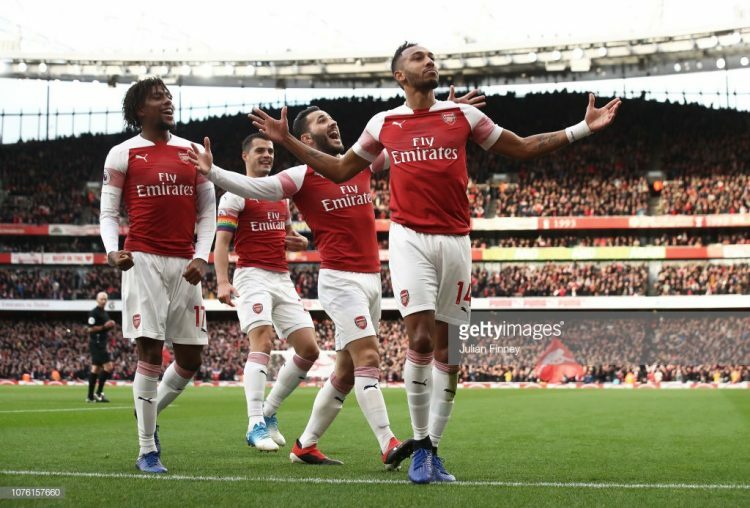 Find out in Arsenal vs Manchester United prediction and betting tips! The Gunners lost to Rennes last Thursday in the Europa League, but it seems the defeat hasn’t hit them too hard. What they really care about this season is booking a place in the Champions League. And that’s possible only if they finish among top 4 in the Premier League. Another reason why they’re not too upset by the mid-week defeat is that the match was played in France. Arsenal aren’t too great on the road, but at home, they’re fantastic. This especially goes for Premier League matches played at the Emirates. This season, they lost only once in the Premier League when playing at home. And it happened a long time ago. The match they lost was their first match of the season, played back in August 2018, when Manchester City came to London. Since then, they won 12 Premier League matches at home, while playing a draw only on two occasions. One more reason why their chances for winning points on Sunday seem decent is that they’ve been in a pretty good run lately, despite losing in the Europa League on Thursday. Before that, they played a draw with the Spurs at the Wembley. And before that, they won three games in a row (in all competitions), scoring a total of 10 goals, while allowing only one. Brave Manchester United players have achieved impossible – they beat PSG in Paris last Wednesday, thus getting a place in the Champions League quarterfinals. And the most impressive fact about their win is that they played without a number of their key men in the squad. It’s a real injury crisis going on in Man United at the moment, so despite the big win in the Champions League, they can’t be considered favorites in this match. There are currently 10 players from the first squad who are either sidelined due to injuries or who are severely struggling with fitness. On the bright side, they had more time to rest than Arsenal, who had to travel to France mid-week. On top of that, they’re in a brilliant form, especially when it comes to playing on the road. This team has won 9 previous games played away from their stadium. And the best thing is that their caretaker manager Ole Gunnar Solskjaer is without an away defeat since he’s been in charge. Arsenal have a really good chance to get to the top 4 with the help of their supporters at the Emirates. But, as always when these two play, it’s not going to be easy. Still, I believe the Gunners will take all 3 points on Sunday.